When people think of camping, not many would associate the word fancy with this particular activity. In fact, most people might think it is the complete opposite. But that’s why glamping is becoming popular. Camping doesn’t have to mean dirty hair, sweaty clothes and sleeping on the ground. With a few easy steps, you can turn your camping holiday into a full-on glamping holiday you won’t soon forget. Just because you are camping doesn’t mean you need to sleep on the cold ground. Glamp it up and get a good quality air mattress that pumps on its own. And we’re not talking about a simple low-level air mattress — no, we mean the double height queen sized air mattress that makes you feel pretty darn close to a bed. Bring along good sheets and blankets (like a fluffy down duvet) and don’t forget to pack the extra comfortable pillows. Make sure to book a powered campsite, and then plan on setting up lights around the site that will bring the glam. A popular choice are fairy lights that you can sting up around your tent and your other belongings that add a touch of special sparkle. The lights will create a soft glow around your campsite for evenings of hanging out and enjoying cocktails and sharing delicious food. You also could go eco-glam with solar-powered lighting around the campsite, which could still include fairy lights as well as other cool solar-powered lights. Don’t just bring the basic camp food — forget baked beans and hot dogs. Glamping means you get to pull out the Pinterest-worthy camping recipes and make some really great food. You can still relax on your holiday; there are plenty of recipes that you can start the prep for at home and then add the finishing touches when you are at the campsite. You can also pick out some of the excellent takeaway joints in Byron Bay and bring that food back to camp to enjoy some good glamping. Another great way to add some lavish touches to your holiday is make special cocktails for you and your group. You’ll feel very elegant drinking your special drink as you sit under your fairy lights in comfortable chairs at your campsite. Camping also doesn’t mean you need to pack just the basics. If you want to really glamp it up, then you should be considering how many extra touches to bring along or pick up while you’re in Byron Bay. Maybe you want to have a little bedside table — a place to store your phone and other essentials. What about your dinnerware? You don’t have to use paper plates; you can purchase pretty camping utensils, plates and cups that will bring the glam to your dinner table. 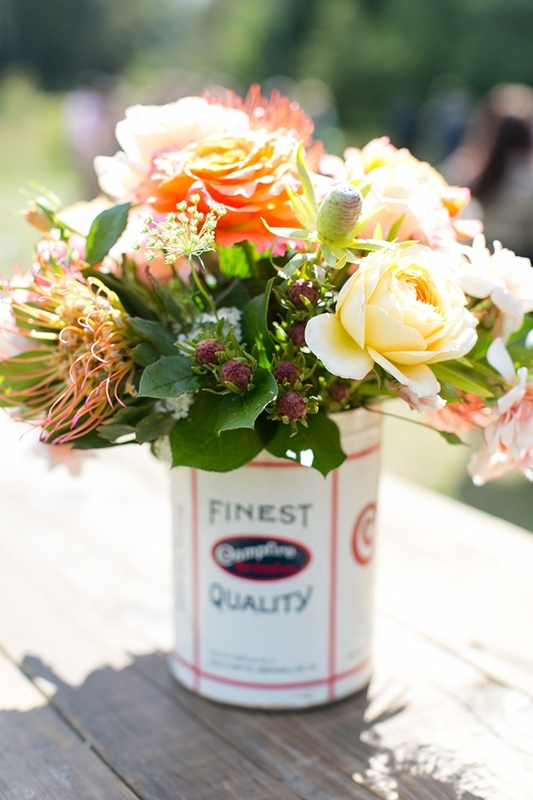 Make a trip to the Byron Bay Farmers Markets and not only pick up fresh, local food to kick up the level of your meals, but purchase a bouquet of beautiful flowers to really add a finishing touch to your glamping dinner table. 5. Pack the good toiletries and nice towels. No need to stick with just your generic shampoo and bar of soap. Grab smaller sizes or obtain the travel size plastic bottles of your favourite soaps, shampoos, conditioners and more to have on hand while you use the camp facilities. Just because you’re sleeping in a tent doesn’t mean you can’t smell nice. While you probably won’t be able to take a relaxing bath, you should be able to utilise your shower time to use the elaborate cleansing ritual you brought along. Don’t forget to pack good lotion! Note: You do have to be somewhat careful about the perfumed soaps and lotions as you don’t want to attract pests such as mosquitoes. 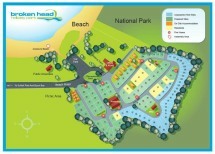 Broken Head Holiday Park is the perfect place to hold your glamping holiday where you can reserve a powered campsite that is ready for all the fancy touches you’d like to add. You’ll be able to plug in the lights, pump up your awesome air mattress and all the other glamorous details you’ve brought along to make your holiday extra posh. Come visit Byron Bay where you can try out excellent restaurants, do cool yoga classes and spend time on the gorgeous beaches — the perfect setting for a memorable glamping experience.